The RSPB, WWF and FOE are all in cahoots to fight the British government's failure to check fracking's ("hydraulic fracturing's") health and safety problems. After two artificially created earthquakes last year, you would think the US experience of many earthquakes might also have caused a policy reversal. Obviously, the environmental organisations are very concerned that environmental and wildlife issues are heavily involved at the many sites such as the original six for Bowland shale extraction. 1. Climate change commitments could easily be endangered. With a possible climate impact as high as that of coal, proceeding with shale gas could be disastrous. 2. Natural effects from many one-hectare sites are unknown, although the Environment Agency is investigating how wildlife would be affected. The results have to delay the first drillings as they could be very negative. The FOE Executive Director, Andy Atkins, points out one of the most relevant alternatives, "Britain has some of the best wind, wave and tidal resources in Europe  developing them will bring in investment and create thousands of jobs." Mike Clarke of the RSPB points out, "We're concerned that Government is pushing ahead with shale gas extraction without clear safeguards in place to protect wildlife and people. The disturbance that drilling shale gas could cause to wildlife and habitats has not been properly explored and neither has the risk of water contamination. Human health and wildlife could be at risk if the Government jumps the gun." He possibly refers to horrific findings such as the benzene (a strong carcinogen) air pollution discovered around some fracking sites in the US. Mixing the human and wildlife argument is a key to understanding how the effects might be estimated and also, later in understanding the health of any indicator organisms we can observe. The American example here is again useful, because a really significant event in Colorado seems to have incensed opponents of the large fracking schemes already in operation there. The simple event concerned the setting alight of tap water. It had been contaminated by nearby shale gas operations causing fracture in the pipeline. Natural water sources of course are even more at risk! Global warming of course is another of the elephants in the room, as noted as you would expect from the WWF. David Nussbaum, Chief Executive of WWF-UK said "Recent headlines revealing that Arctic sea ice has reached its lowest ever level should serve as a wake-up call. Instead of jumping on the shale gas bandwagon, which is clearly not consistent with a low emission future, the Government must reaffirm its commitment to tackling climate change and prioritise renewables and energy efficiency." The 14th September is a day to book for your diary if Bowland is close to your heart. Kirkham Community Centre. 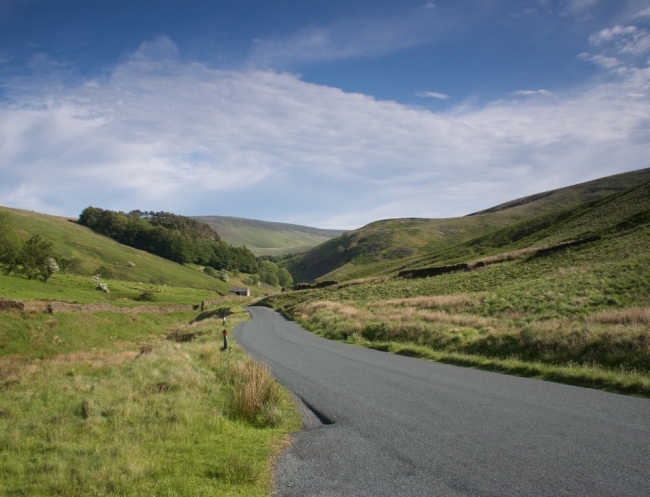 The Bowland Basin is 20km east of Blackpool on England's north-west coast. Other sites are likely to cover quite a lot of Britain, such as Scotland, the south of England and other parts of the north. Meanwhile several countries such as France and Bulgaria are banning fracking completely. Hurry up David Cameron. It's make-yourmind-up-time.